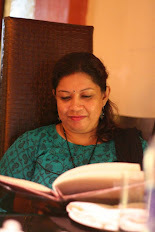 "Gingle Bell, Gingle bell, Gingle all the way......................"
And so much fun in the air as it is Christmas time once again and in our food blogging world, everyone is busy baking cakes and cookies batches after batches. Everywhere you can see yummy sugar cookies, ginger cookies, Christmas Fruit cake and so many more yummilicious things. I am also finally tempted to prepare some cookies this Christmas for my cookie loving kids. 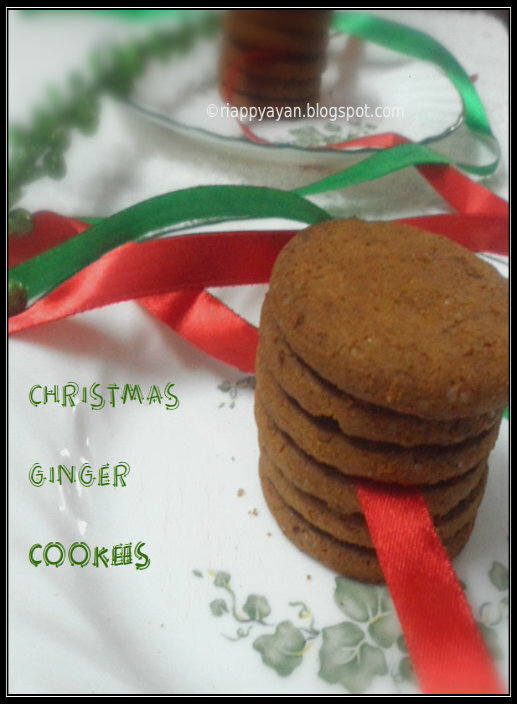 I love Ginger Cookies and it was on my to-try list for long time. 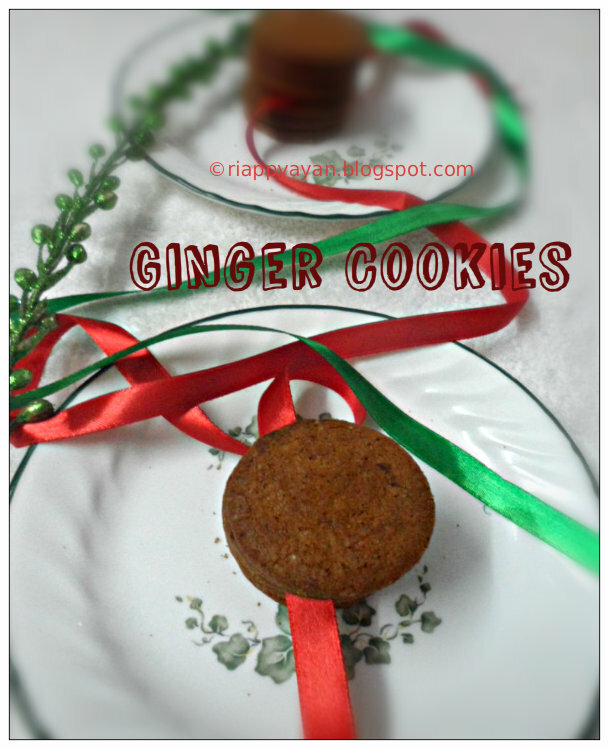 So finally I gave it a try with a very traditional Ginger cookie recipe. Fresh ginger(very finely grated) : 1 tblsp. Ground cinnamon : 1 tblsp. Ground cloves : 1 tblsp. Preheat oven to 350 degrees C/175 degrees F. Line your baking tray with baking sheet. Sift flour, baking soda, and baking powder into a large bowl. Keep aside. In another bowl, beat butter and brown sugar with a mixer on medium speed until fluffy. Mix in spices, salt, and 1 teaspoon pepper, then eggs and honey. Reduce speed to low. Combine well. Add flour mixture slowly and beat until it forms a pliable dough. Divide dough into two, and wrap each in plastic wrap. Refrigerate for at least 1 hour. Roll out dough on a lightly floured surface to a 1/8-inch thickness. Cut out cookies in desired shapes using cookie cutters, and transfer to baking sheets. Bake until crisp, but not dark, about 20 minutes. Transfer cookies to wire racks, and let cool completely. You can decorate these cookies with icing or with dusting sugar, but I like them just plain, so didn't decorate. 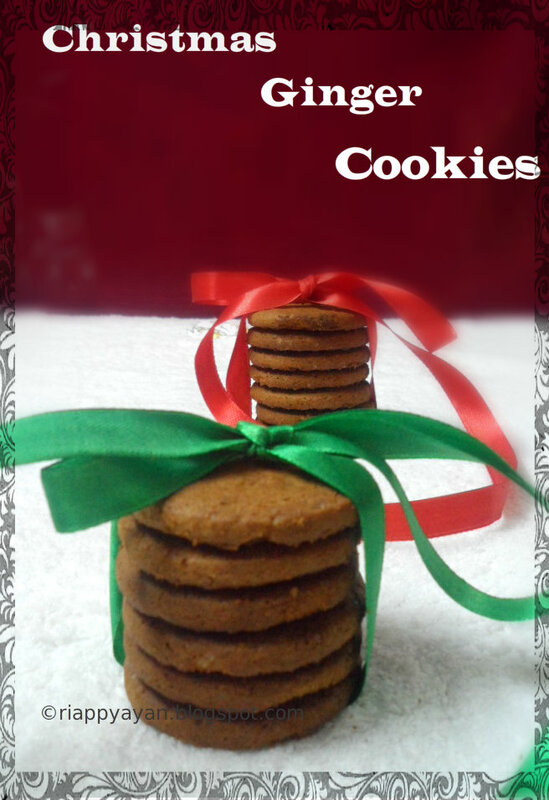 perfect 4 natal..yummy n crunchy cookies.. Perfect adorable cookies. Wish to munch few now..
Fabulous cookies, beautifully done and attractive. XMas wishes to u too.